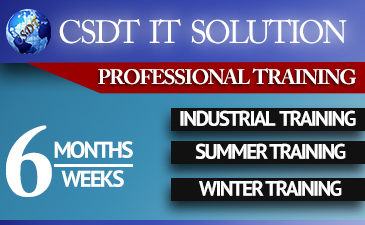 CSDT project based training program and guidance is the preferred choice of IT Professionals as it gives students to get Hands on Experience, unlike any other training in industries where students & professionals are not allowed to work on the real equipment & software during their internships Training. CSDT Winter Training Program provides you with a program rich in content, detailed in nature to fulfill even the most aspiring minds. Winter training programs provide great opportunity for engineering students to utilize their Winter vacation in the right way. You can develop hands-on learning experience by building several projects as part of these programs. Enterprise Software Development Training is a building software within an enterprise environment in a structured, lightweight and pragmatic way. CSDT Centre covers the complete end-to-end software development process; from planning, gathering requirements and software architecture through to the effective use of source code control, automated unit testing, continuous integration and load testing. The summer training programs are designed to give you a very good practical learning experience and develop skills that will be very useful for your career. We offer 4 or 6 Weeks Industrial to students from domains like CS or IT, BCA, MCA and Electronics and Communication to name a few. The Java Programming course would be suited to people interested in Development Java Application and learning the fundamentals of Java programming or for people considering returning to third level education in the area of Information Technology. Are you considering website development as a career? Do you simply want to learn to create your own web sites but don't know where to start?Then you joined csdt centre website Development Training.CSDT IT Solution Provides Compleate Corporate web Development Training. CSDT Centre project based Internship training programs are exhaustive and covering the latest and upcoming technologies.CSDT IT Solution provides corporate demanding technologies like as .NET, Java, PHP, Android, SEO, Web Designing etc. Trust csdt it solution, csdt centre have been there to provide all these new and fresh programming tricks. CSDT is always available for consulting or training for .NET Technologies depending on the time. We chose PHP and MySQL for that. Reason for that is simple. PHP is the most powerful front end dynamic language in this world. So, by using PHP Training our students convert the static designs into dynamic websites. SEO is the powerful tool which helps many of the site builders to bring their website in top most of search engine results. SEO (Search Engine Optimization) is also the process of improving the quality and reduce the traffic in search engine for your website.csdt it solution provides well SEO Job Based Training in Patna Bihar. Live Project based IT Training on JAVA, Advance Java, .NET Framework, PHP, Python and Android. CSDT Centre is a way proud to mention that the Job oriented IT Training is inclusive of platforms that have wider scope in the prevailing and forthcoming IT Job Market. These platforms are picked after a thorough research and analysis based upon the existing and prospective IT industry in mind. CSDT IT Solution provides Software and Website Development Training in several platforms such as PHP & MySQL , .NET & SQL Server 2008/2012, Software Testing, Ethical Hacking, Hardware Networking, Java / J2EE, Python Programming and Android App. CSDT IT Solution is Software Development Company located in Patna Bihar (India). 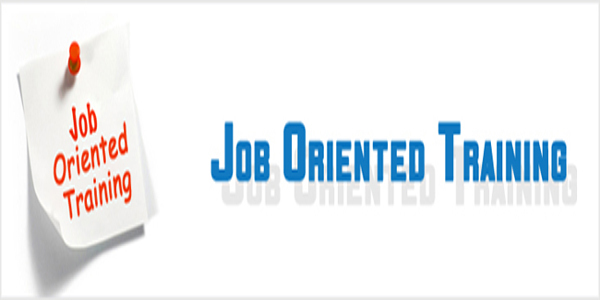 We are the first Software Development Training Providing Company in Patna (Bihar). CSDT IT Solution is completely filled with the real-time working manpower and resources. We are focusing on hands-on training for the students who are willing to learn the technology. .NET is a software development platform developed by Microsoft. Using .NET there is no need to learn new programming language. It supports 48 programming languages like as C, C++, C#, J#, VB etc. After providing enough knowledge of static website designing, we started to train the students to create dynamic website. We chose PHP and MySQL for that. The reason is that PHP is the most powerful front end dynamic language in this world. The joy of coding Python should be in seeing short, concise, readable classes that express a lot of action in a small amount of clear code. We are the best Python Training Providers in Patna with practical and live examples. If you want to become an oracle database developer then you are at right place. We are specialized in RDBMS especially for Oracle SQL and PLSQL. We are the best C++ Training Providers in Patna with clear concept. Our C++ Training program is very much mixed with both practical and interview point of questions. We are the best SEO Training Providers in Patna with Search Engine Optimization Experts. Our training program is very much mixed with both practical and live examples. We are the best C Training providers in Patna with excellent knowledge. Our C Training program is very much mixed with both practical and interview point of questions. We are the best Web Designing Training Providers in Patna with Web Designing Experts. Our training program is very much mixed with both practical and live examples. We are the best Graphic Designing Training providers in Patna with experts. Our Training program is based on practical and job point of view. We are the best Hardware Networking Training Providers in Patna with Experts. Our Training program is based on practical knowledge with live examples. 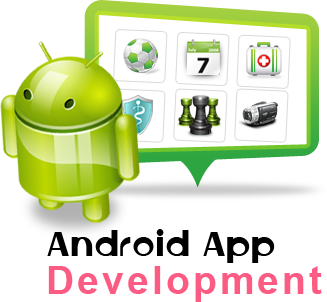 We are the best Android Training providers in Patna with Android developer experts. 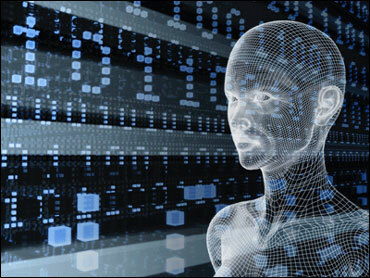 Our Android Training program is based on practical knowledge and job point of view. 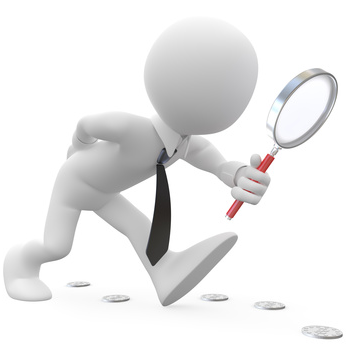 We are the best Software Testing Training Providers in Patna with Software Testing Experts. Our Software Testing program is based on practical knowledge with live examples. We are the best in providing Ethical Hacking Training in Patna with CEH experts. Our Ethical Hacking Training program is based on practical and job point of view. Live Project training For BCA, MCA, B.Tech, BSc.IT etc. Feel and decide after a FREE DEMO CLASS with our .NET/PHP/Java Real Time Instructor. Our job based training programs are focused on building our students expertise in technical skills as well as soft skills like Communication skill, Presentation skill, Interview skill, Team work skill and complete Personality Development skill. Our Summer Internship training programs are focused on building our students expertise in IT skills like C, C++, JAVA, Android, Python, PHP, .NET, Hardware Networking etc. Note:-1.Project Work is Compulsory after the Completion of training Program. Software development takes more than just memorizing commands and syntax. During a comprehensive program of software development training, students gain perspective on the entire software life cycle, learn methods to create effective algorithms and study best practices such as version control, debugging, unit testing and profiling. The specific details of software development training programs can vary based on the type of software the student is learning to develop. Application software development courses may focus on issues of cross-platform compatibility and Web deployment. CSDT Centre Patna is a leading IT Training Center or Institute in Patna, Bihar, India. We provide software development training courses/tutorial in Java Training, J2EE, .NET, PHP, Embedded Systems, Oracle training, SQL Server 2008 / 2012 training, C++ programming training, C programming training, Summer training, 6 months project based training, 6 weeks summer training program, corporate, embedded and robotics training, Microsoft dynamics training institute, SharePoint server 2010 training institutes, SQL server 2008 training institute, SEO job training, PPC training , Programming training company, Programming training centre, SMO training, IT training company, Digital Marketing training in Patna, Bihar, India.